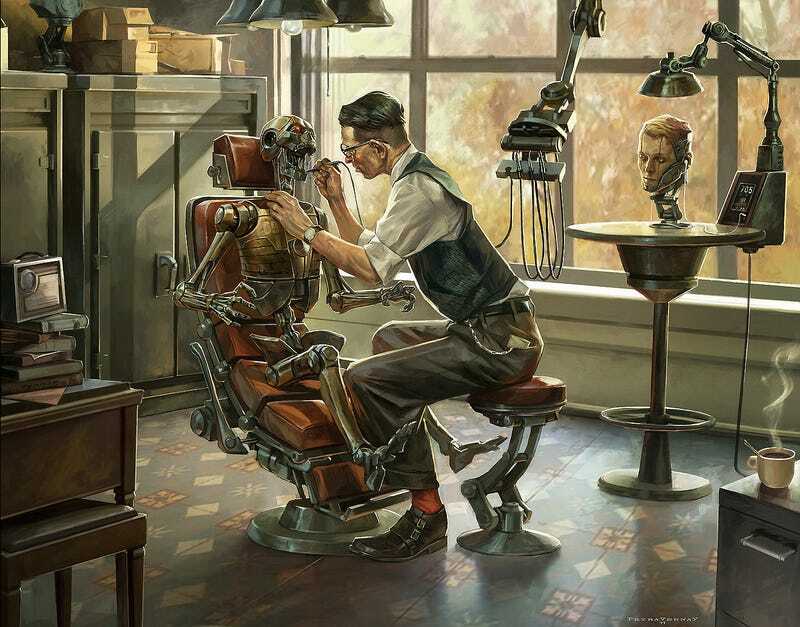 The android squirmed in the chair as Dr. Rockwell drilled in the fresh tooth. The dentist shook his head as he exchanged the drill tool for the water flosser. "If I detach your jaw for the procedure," he told the robot, "you'll never learn to stop using your mouth to open oil drums." Concept art by Cedric Peyravernay.